When we received a call from my son’s modelling and acting agency asking if he was available for filming, we had no idea just how big a deal it was! At the time, my son Harrison was four and had never acted before. We were told that he was to be the son of one of the main characters, but weren’t given much more information. It turned out he would be playing Harry Cotton, the grandson of Philip’s character, Daniel. Morvan Christie plays his mum, Saskia Reeves his Grandma and Bernard Hill, his great grandfather. I was due to be on set with him every day but, due to being admitted to hospital, I missed the first two days so my husband went with him. 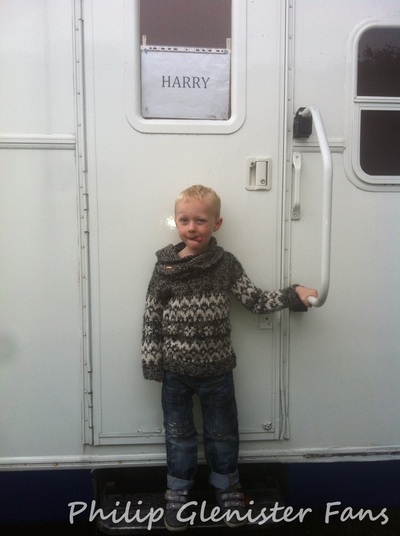 When they arrived on set, I got a call from my husband to tell me that Harrison had his own trailer! I didn't believe him until he sent a picture. On that first day they took photographs which I assume are to be used to publicise the show and they filmed a few scenes. Harrison was opening a scene with his on screen sister, they had to run into a party, through the house and into the back garden. He was due to film a scene later that day with Phillip, playing on the floor with toys but due to the length of time it had taken to film the previous scene it wasn't filmed. The next day he filmed the Euro 96 scenes, the one shown in the press pack interviews. Harrison got a little upset when they all started shouting at the telly and he had to leave set for a little while! That’s all I know about the first few days, as I wasn’t there, but I can certainly give you some stories about the days that followed! The first day I was on set, we were shown to Harrison’s trailer, where I got him changed into his costume, before we went for a wander. This is when I saw Philip’s trailer. I had perfect timing because just as I spotted them, a car pulled up and out stepped Philip. I said, ‘Good morning’ and he said it back. Harrison turned to me and said ‘That’s my grandpa’. When we got the call to set, we were driven a few miles down the road to a big house in a beautiful lane. As Harrison is a minor, I was required to stay on set at all times in order to be close to him, which meant that I stood right behind the camera as they filmed. The first scene was a family one and Harrison had to be asleep, it was so weird standing next to Bernard and watching it all happen right in front of my eyes. They did lots of takes. Phillip was in this scene too but he appeared from another part of the house I didn't really get to speak to him. The next scene was being filmed from another angle so I had to move slightly away from Harrison and wait in the hallway just out of sight, In this scene, Phillip entered from the stairs and so guess who I had to stand next to on the stairs! I found myself chatting to him on the stairs between each take, so surreal. Our conversation was about Harrison; Phil said how well he was doing and that he had been trying to steal Harrison's sweets, leading to Harrison naming him 'the sweetie stealer'! I told him I knew and that he'd also nicknamed Bernard the tickle monster. The next scenes were filmed in a hospital. In the morning we filmed Harrison with the whole cast in a scene where he was visiting someone in hospital (I won’t say who as it may ruin some of the plot). Harrison had to run into the hospital room and was picked up and put on the hospital bed, had his belly ticked and generally messed about a bit! Our green room was next to Phillips on this day so he was generally beside us between takes and we had a natter. 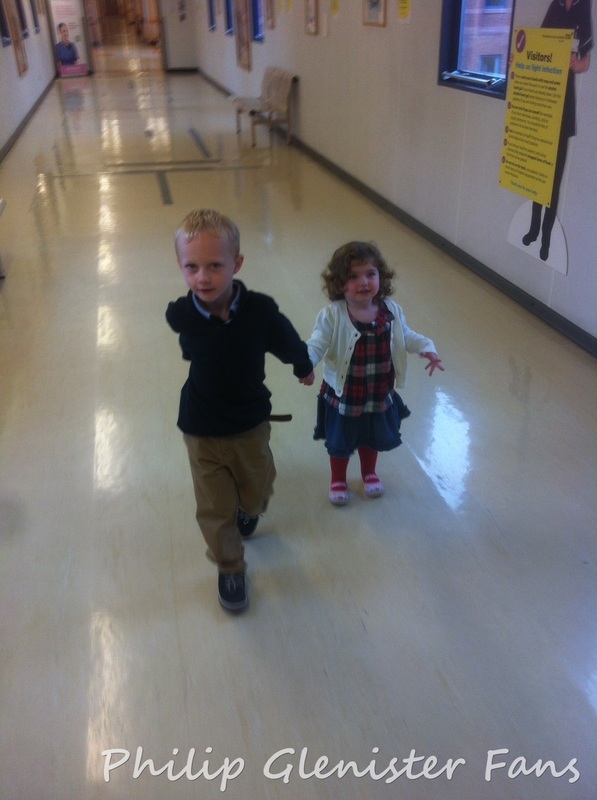 He was really good with Harrison and kept trying to steal his sweets once again, living up to his ‘sweetie stealer’ name! He was very good at making him feel at ease and relaxed which, as you will read, was important for that afternoon. Finally, we got to Harrison’s final scene and it was a big one – his first speaking scene. And his co-star… yup, you guessed it, Phil! On arrival, we were taken straight through to see Phillip so Harrison could practice the scene with him before they tried filming it. Harrison had to take his cue from Phil and it was a few practices before he understood when to say his first line. We had a lunch break then, before filming the scene and I was sat, having lunch a table away from Phillip! We spent the whole afternoon filming Harrison’s speaking scene and Harrison delivered his lines perfectly take after take. I won’t tell you what the scene was or what his lines were as it is quite key to the storyline and I certainly don’t intend to give the game away this close to broadcast! I have a few mementos from the filming, including a script showing all the cast (including Harrison), and some pictures. It was a fantastic experience and one I’m sure I will never get to repeat. I’m so glad Harrison had this opportunity! 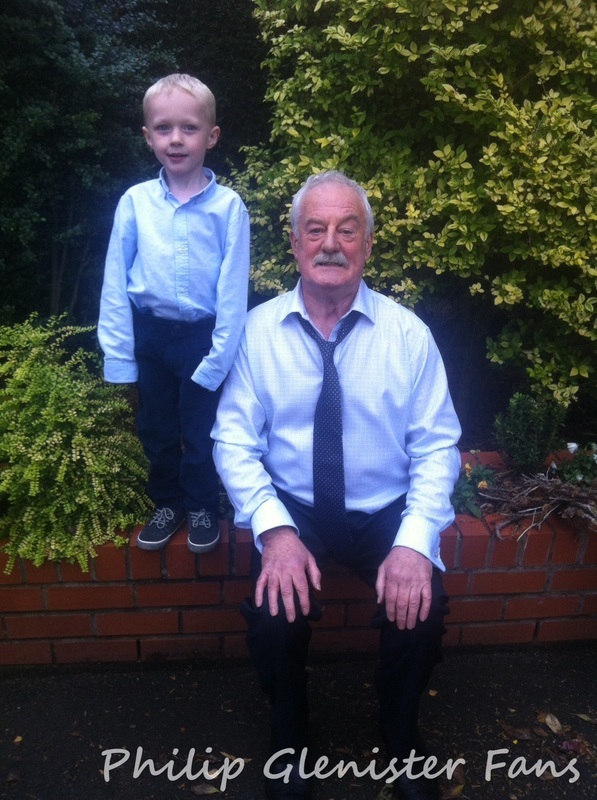 We weren't allowed to ask for pictures with the stars, but I do have this one of Harrison and Bernard Hill. I do have some of photos of Phil filming as well as on breaks, but I didn’t send them all because they were taken on a closed set and not sure if I can show them yet – don’t want to get into trouble! I will share them once the show has aired.